I have another center step card to share today. 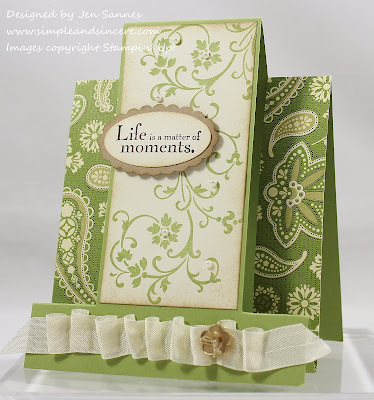 I combined the Elements of Style stamp set with some of the Spice Cake designer paper - gorgeous! Have a fantastic weekend! Love this card. It is so beautiful. Have a good weekend. Another beautiful card!Love the color!